Welcome to my website! I am Dr. Nella Godfryd (formerly Dr. Nella Ann Roberts), an author, corporate trainer, seminar leader, motivational and keynote speaker, and Chief Executive Officer (CEO) of High-Impact Consulting Group. I am a passionate non-denominational Christian who loves God and people and I specialize in personal and professional development. My mission is to help others develop themselves, succeed, and make a difference in the world. If you need help in these areas, I can help you. Do you want to transform your life, be more successful, have a better life, and make a difference in the world? If so, then let’s begin doing so from today. Transforming your life involves going beyond the way you live, co-creating a better life for yourself, and changing the way you live. You do this with the power of God (that is within you, yet transcends you) and your thoughts, visualization, words, faith, actions, or a combination of them. 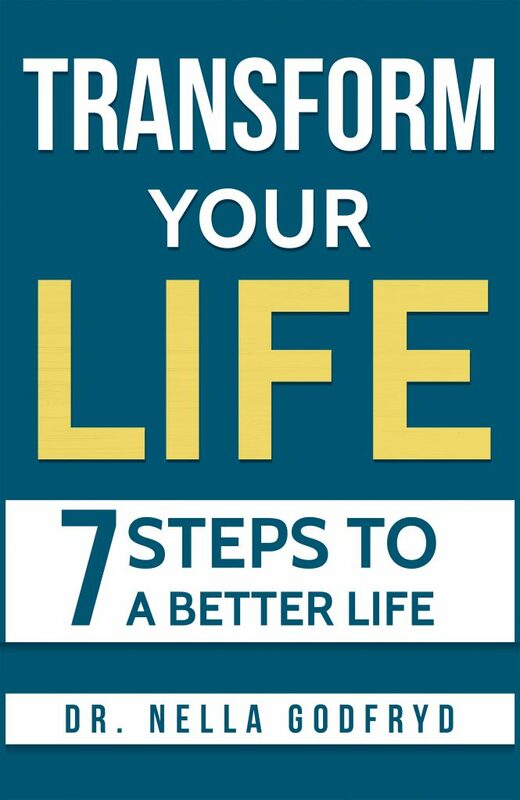 I wrote Transform Your Life: 7 Steps to a Better Life to help people transform their lives. If you want to make significant, lasting changes and transform your life, then this book is for you. My next book will be on Professional Development. You can join my mailing list or follow me on social media so you will know when it is available. Available in paperback, hardcover, and as an e-book for immediate download. Get your copy of “How to Plan & Improve Your Life: A Guide for Success” for free, plus interesting content, news, invitations, and more giveaways when you subscribe to my newsletter.